However, there are lots of nighttime events! 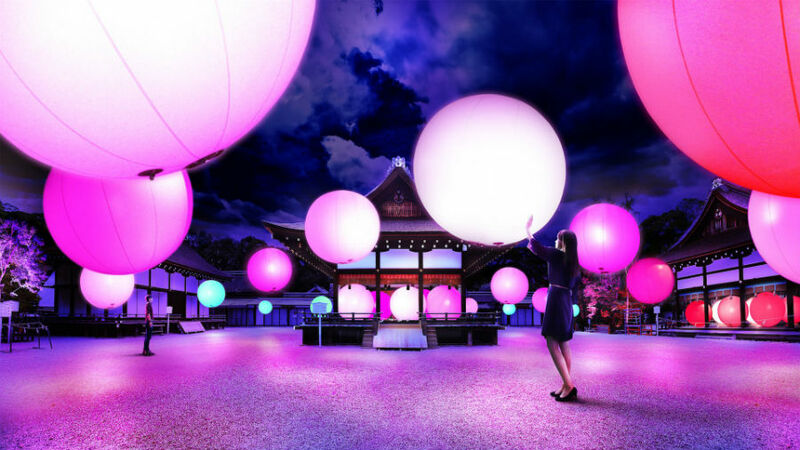 I am curious about this exhibition, the World Heritage Site, Shimogamo Shrine is lit up with mysterious lights! It consists of two different arts, "Resonating Trees" and "Resonating Spheres". Twilight rooftop In the Moon.